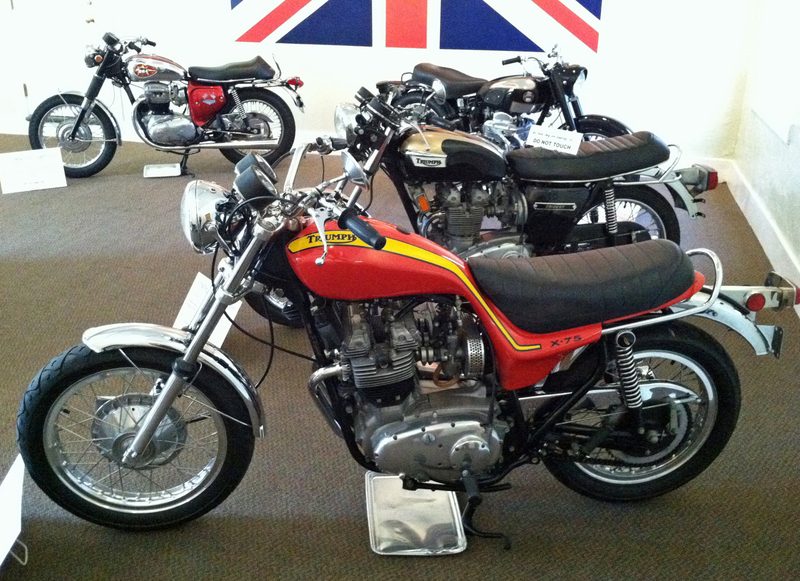 First, the Triumph X75 Hurricane was based on the three-cylinder BSA Rocket 3 and Triumph Trident. These 750 cc engines offered low-end torque and high-rpm horsepower, perfectly splitting the low RPM “thwump-thwump-thwump” of a Harley-Davidson V-twin and the high RPM “RIIIIING-DIIIIIIING-DIIIIIIG! !” of a Japanese four. They also, despite a relatively short production run from 1968 yo 1975, ran up an impressive list of performance records and race wins. For instance, these engines dominated the brutal Isle of Man race, winning it 5 times in those 8 years. Of course the Triumph X75 Hurricane took the standard Trident and Rocket 3 design language to an entirely different level. The story behind the Hurricane’s design is book worthy, and in fact one has been written on it. 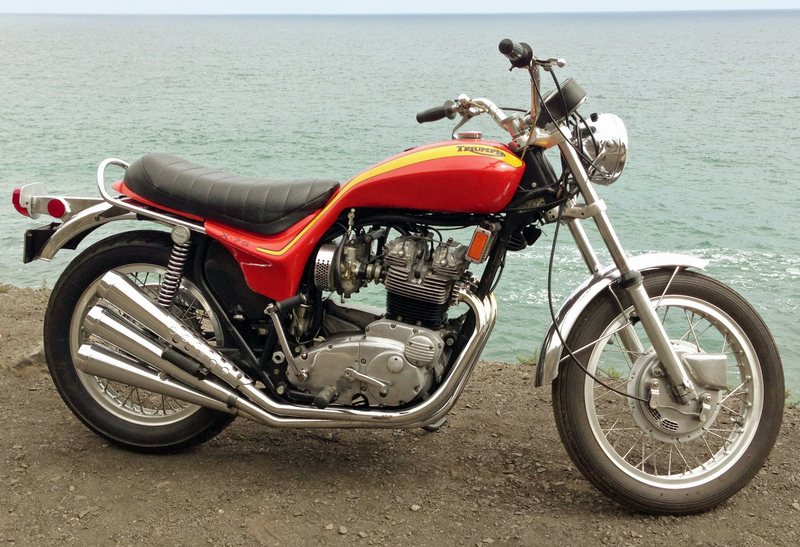 The Cliffs Notes version goes something like this: an American BSA executive found a young American designer named Craig Vetter to make the BSA Rocket 3 look good. It worked, but by the time the bike went into production BSA was dead, so it was called the Triumph X75 Hurricane (X75 derived from the engine’s 750 cc size). Of course the long story is much better, and worth a read. I first discovered the Triumph Hurricane the same way I learned most of my motorcycle and muscle car knowledge, through my older brothers. They would talk casually about other bikes, but when the Hurricane came up in conversation the tone would take a decidedly hushed and reverent turn. They knew how special the bike was, and after doing some research I agreed with their assessment. As a limited-production (1,181 were made) design exercise the Hurricane offered a visual impact few bikes, from any era, could match. 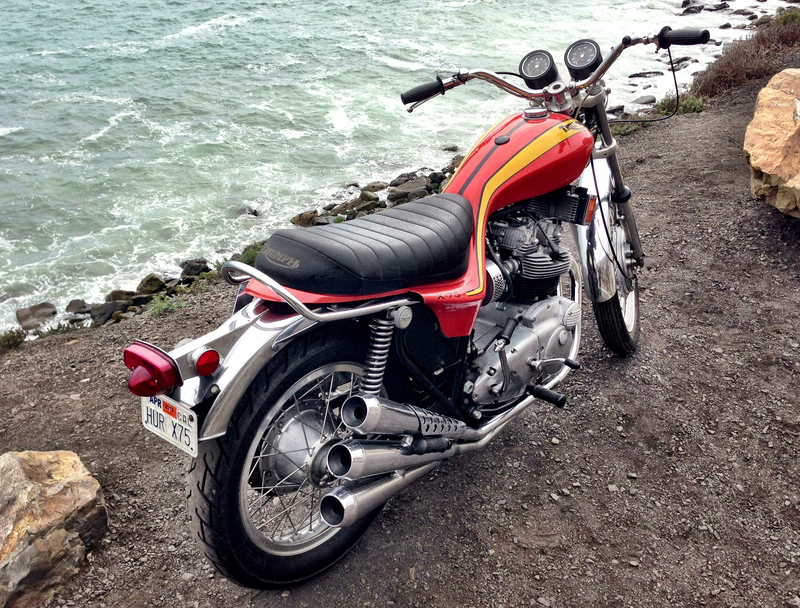 I added the Triumph Hurricane to my list of “dream machines” but figured I’d never own one. Even in the mid-1980s they were expensive (like, over $2,000!! ), and that was assuming you could even find one for sale. My high-school budget didn’t allow for such extravagances. 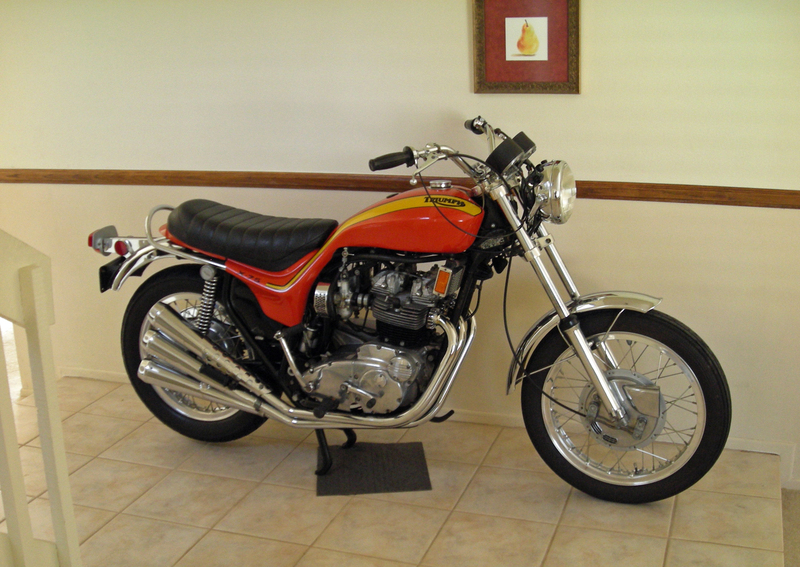 Fast-forward 20 years and some hard work, and the Triumph X75 Hurricane was suddenly in my budget. Prices had shot up to between $14,000 and $20,000, but I found one on eBay for $14,500, with less than 3,000 miles on the odo, in clean, original condition. After the purchase a truck carried my Hurricane from North Canton, Ohio to Santa Monica, California. I’ll never forget walking out to the loading dock and watching the truck’s rear door slide up. 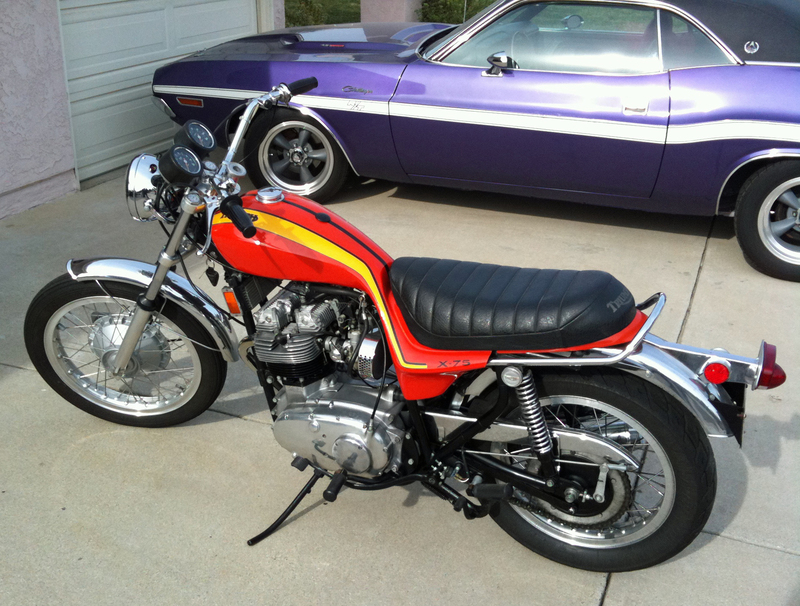 The previous owner carefully detailed it before sending it away, making the Triumph sparkle like a show bike in the Southern California sun. 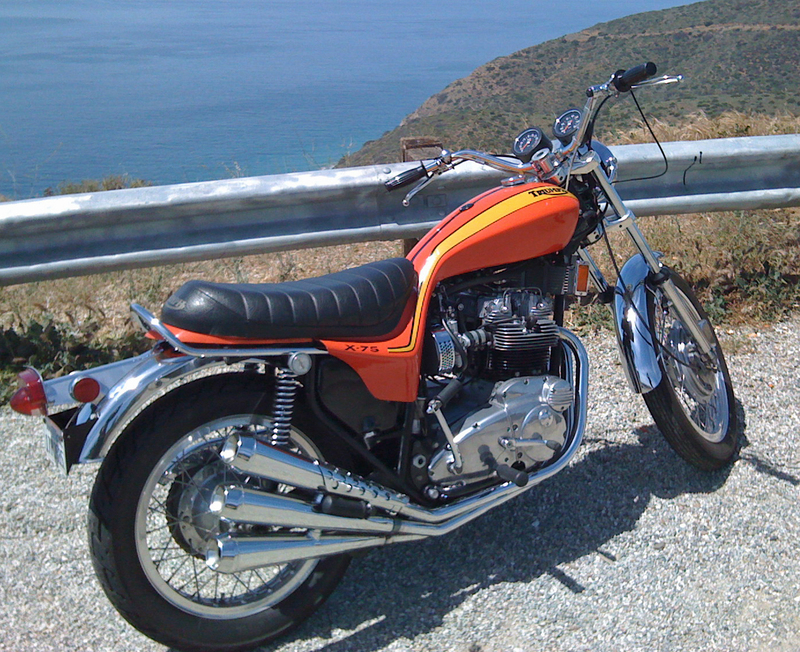 I rode it home along the Pacific Coast Highway that afternoon, reveling in the experience of hearing and feeling my ultimate dream bike. 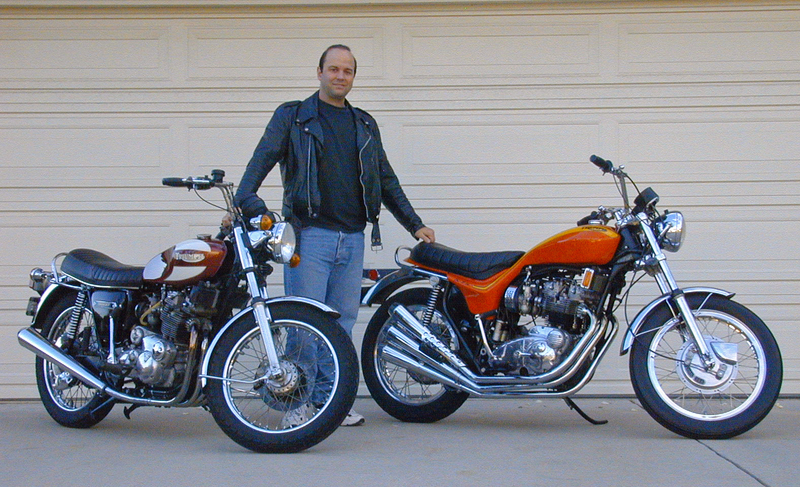 That was in 2005, and over the next 9 years I put about 3,000 miles on my Triumph Hurricane. Most of my trips were less than 100 miles, as the bike’s design featured a small fuel tank with only about a 3-gallon capacity. Running out of gas on the Hurricane became such a common occurrence that when I’d announce my intention to ride it my wife would respond with, “I’ll wait by the phone.” The Hurricane’s other performance issue related to the bike’s brakes, which were pretty bad even by classic British bike standards. The only other issue I had with the Hurricane was the same one every vintage British bike suffers — keeping the carburetors happy, especially when running modern gasoline meant for high-pressure fuel injection systems through them. The bike would regularly go out of tune, requiring expensive tinkering to get it working properly again. Mixing a fuel additive called “Sea Foam” in the tank helped stabilize the carburetors, but didn’t fully address the issue. On the flip side, the Triumph Hurricane offered rapid acceleration and an exhaust note worthy of its style. 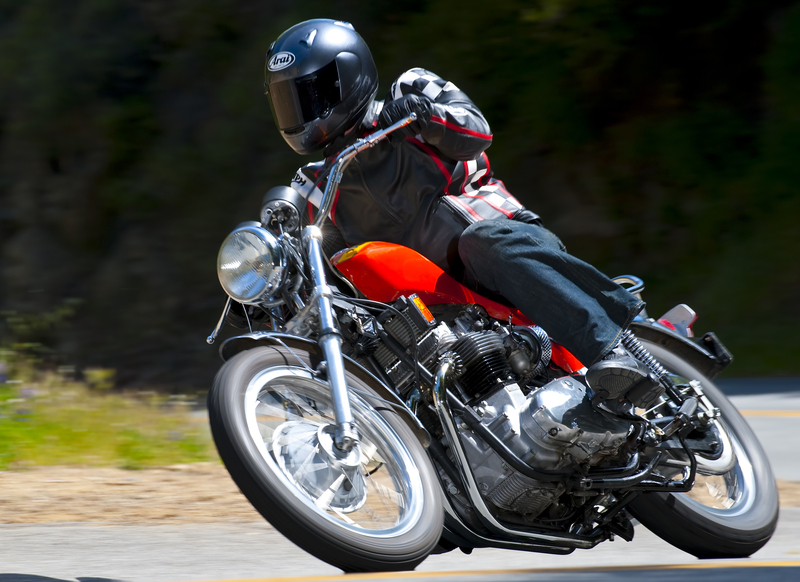 The bike was one of the quickest classic British motorcycles I’ve ever ridden, and revving the engine created a deep, baritone rumble from those three chrome-plated mufflers. The Hurricane became my alter-ego escape. When I rode it I wasn’t a professional at a web site, I was a world-class hooligan, with a look and sound to support my short alternate-reality stints. I had no intention of ever selling the Hurricane, but the bike’s ongoing tuning challenges and questionable brakes wore me down. The killing blow was a tank slapper on the 405 freeway while retiring from a local shop. For a few terrifying seconds I was convinced the bike was going to toss me like a rodeo bull at 60 mph. After that I decided to let the bike go and replace it with something less…exciting (and demanding) to ride and keep in tune. If I had the space I’d have kept the Triumph X75 Hurricane as a static display, ideally in my house’s entryway. 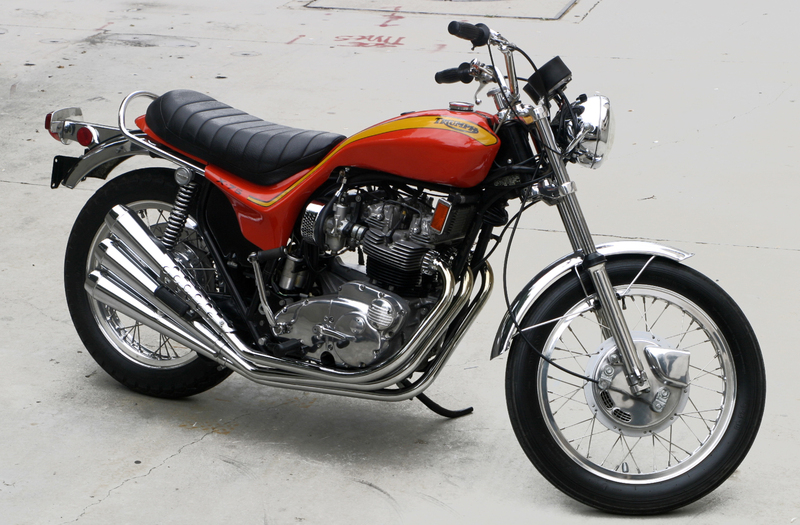 Even with all its faults it remains one of the most visually appealing motorcycles ever created. Previous Post:The Dodge Challenger: America’s Porsche 911?